- Masters finals (Tord Reklev vs. Joe Ruettiger) will begin at 5:15 PM EST on Saturday. - As we enter Round 13 of Swiss, four players are guaranteed (assuming IDs at top two tables) for Top 8: Philip Schulz (Zoroark-GX/Gardevoir-GX), Tord Reklev (Zoroark-GX/Gardevoir-GX), Azul Garcia Griego (Buzzwole-GX/Lycanroc-GX), and Corey Godfrey (Volcanion). - Day 2 begins with Limitless's #2-ranked EU player vs. their #3-ranked EU player, Philip Schulz vs. Pedro Eugenio Torres. Schulz's deck, Zoroark/Gardevoir, was 1-0-3 on stream on Day 1; Torres's, Zoroark/Lycanroc, was 0-1-0. 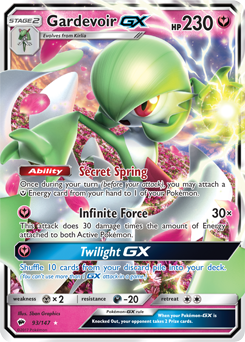 - The Limitless team members are all playing a Zoroark-GX/Gardevoir-GX concoction developed by Philip Schulz and Tord Reklev (who is also playing the deck). It has already appeared 3 times on stream through Round 4. - Many top NA players decided Buzzwole-GX/Lycanroc-GX was the play for this weekend. Jimmy Pendarvis and Rahul Reddy of CCGCastle played a mirror on stream in Round 2, and right after that, Michael Pramawat of ARG played it on stream in Round 3.